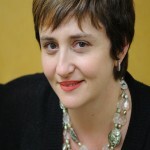 Irina Serbina is the Assistant VP – Western market, Foster City Branch Manager for Comerica Bank. At Comerica Irina is in charge of building and enhancing relationships with new and existing Small Business customers, leading and directing all sales and service activities of the Banking Center team she is managing. Prior to joining Comerica Bank Irina has worked for multiple Silicon Valley startups in capacity of VP of Sales and Operations, from inception to early stage financing. Irina holds an MBA from Kennedy Western University.